Sooo Cute!!! I would love to win!!! Recently found (and LOVE) your site!! Great give a way! Thanks. Totally love this deal and Target! Also like (love) u on facebook. I already “like” and “love” TotallyTarget on Facebook! Everyone should! How cute is this? I would love to win this,thank you for all the giveaways. Target is my favorite store to shop at!!! I like this on fb!! I love this site and everything you do on here!!! I love ur site. Would love to win. I already I did and I’m so glad I found this site!!!! Thank You!!!! Please Please pick me so that I can buy some stuff for my soon-to-be baby’s nursery!! 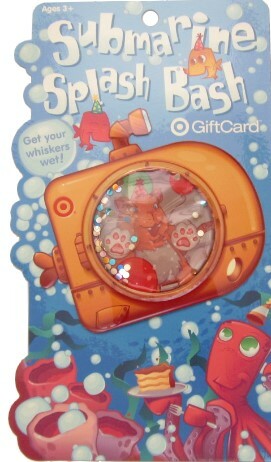 I just love Targets gift cards, so creative and fun!